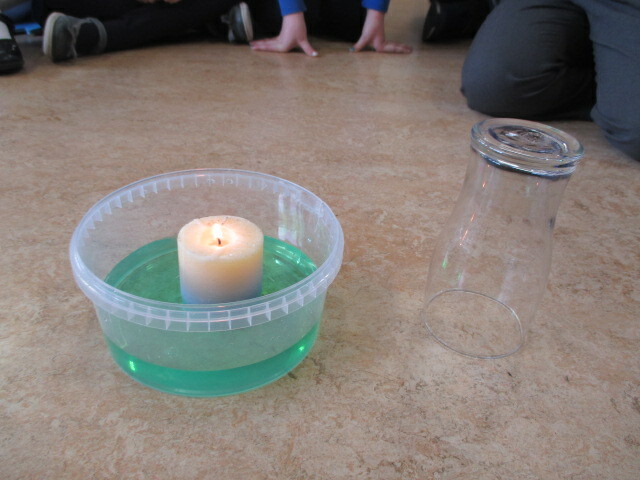 After much discussion we decided that a candle would need air to burn and that without air the candle would go out. 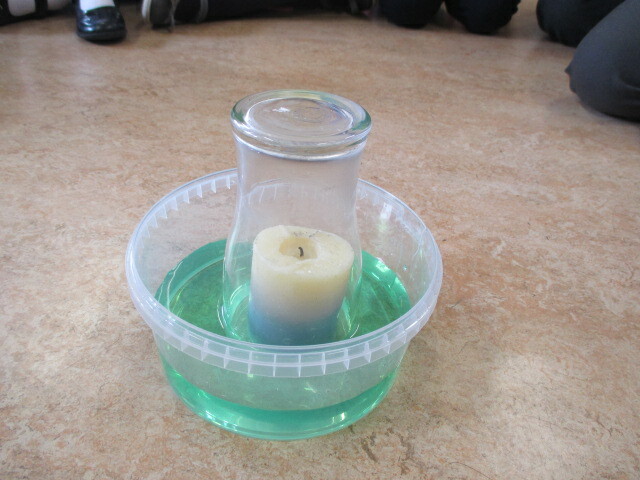 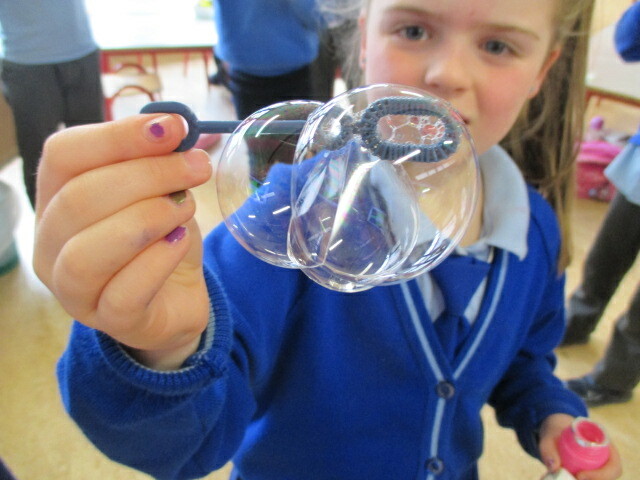 We sugggested how to do this using the materials that we have. We predicted what would happen, then tried it out. That when the air is used up a vacuum is formed, and that this causes the bottom of the container to be sucked in to the glass. This then makes the container stick to the glass. 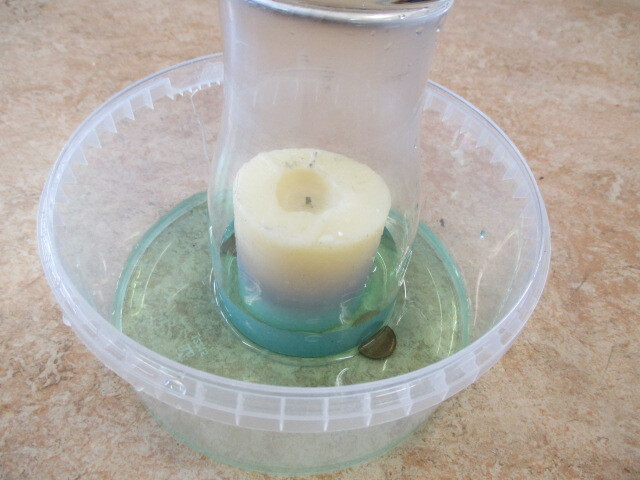 It is such a strong sticking that we can then lift the glass and container together. 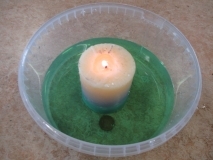 If we stand the glass on coins, water will rush into the glass when the air is used up, and we can see exactly how much air is needed for the candle to burn.